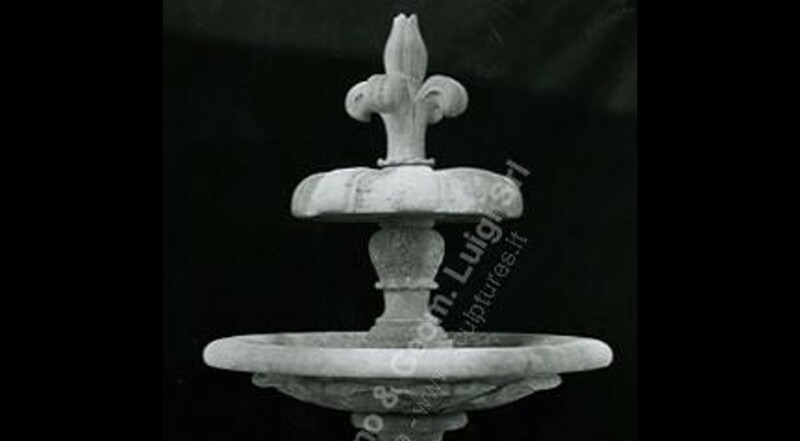 A typical Florence Fountain with 2 tiers, with the typical Florence "giglio" as top finial. The base has detailed decorative leaves on sides. Original design by our sculptors.